Simply charming and totally updated. Gorgeous wood flooring throughout. Truly an open concept villa with kitchen, living and dining room all open and accented by the vaulted ceiling. Stainless appliances and granite counters complement the cabinetry in the kitchen. The bathroom has beautiful stone floors and a walk in shower with an attractive vanity. The gracious bedroom includes a large walk in closet. The large deck off the back offers a private and quiet lagoon view. 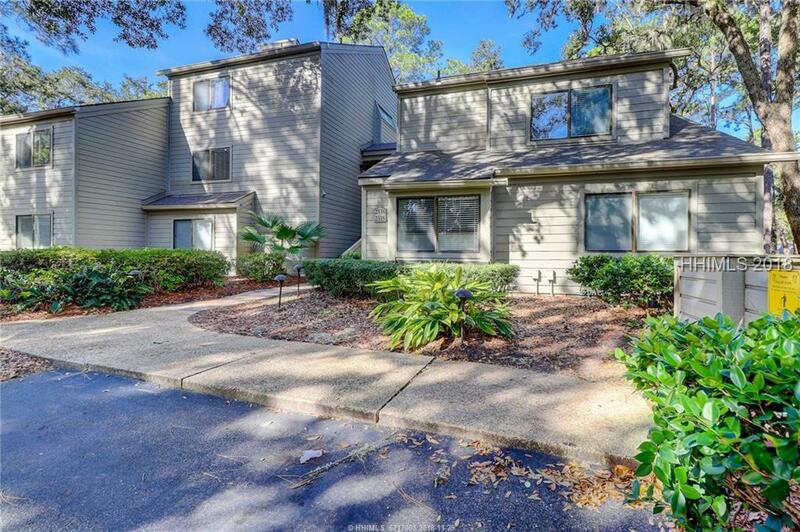 Steps from Harbour Town and an easy bike to the beach. On site pool and tennis courts.